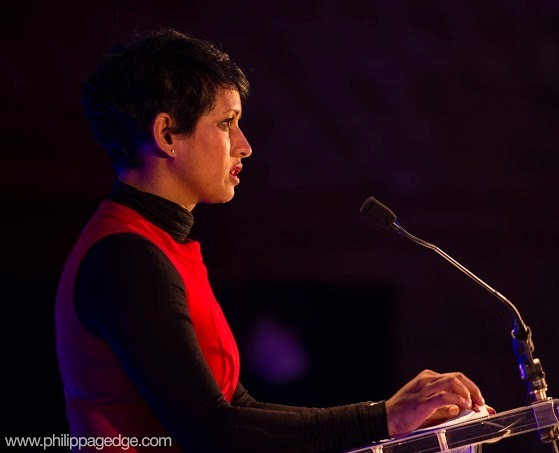 Naga Munchetty is available to book for your special event – we work in direct association with Naga Munchetty’s representative as a booking agent for her. Naga Munchetty is one of the main presenters for the BBC’s Breakfast programme which delivers news, current affairs, sport, business and magazine features and is watched by more than 12 million viewers each week. Naga also presents the European Breakfast News slot for BBC World News. Naga Munchetty ’s first job was at the Evening Standard, she then moved onto Reuters Financial Television as a reporter. She worked as a senior producer at CNBC Europe and then as Producer/Reporter Channel 4 News’s News at Noon programme. Naga is also an honorary celebrity member of The Duke’s 100 – which is part of the charity, The Duke of Edinburgh’s Award. 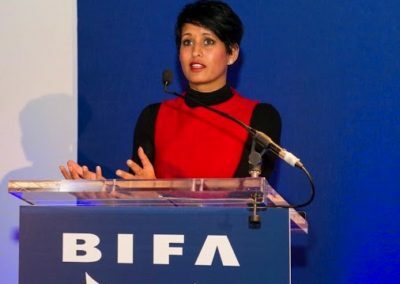 Naga Munchetty is very eager to empower women and inspire more females to achieve success, 2014 saw Naga named in the Asian Power list as one of Britain’s most powerful Asian women alongside Liberty Director Shami Chakrabati and Jameela Jamil. Naga Munchetty also has a love of animals by lending her support to The Dog’s Trust, assisting the team in walking dogs and providing a helping hand where possible. Her charity works also includes running the London Marathon in 2013 in sponsorship of United Response, a mental health charity. Contraband is the UK’s top booking agent, with affable, attentive account managers who guarantee you the best deal possible. 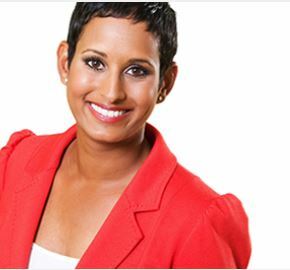 Contact us today if you would like to book Naga Munchetty to be the headline of your event! We as your booking agent are more than happy to help you create the most memorable moments with Naga Munchetty. It was a privilege to have you host the event, and your smiley, friendly but professional demeanour was just what we needed. I knew the joke about Alvaro Quiros would go down well! The audience really enjoyed your speech, and it hit the tone just right. (…) Several guests emailed after the event with compliments, and quite few people commented on how fresh you looked on BBC Breakfast the following day!